This is another children's book I'm writing. 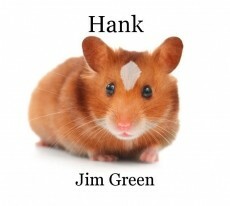 Its about a little hamster named Hank and the adventure he goes on only to find his true happiness was with him all the while. Well thank you. I actually made that photo in my Photo shop. I do thank you though for reading and for the nice comment. Aww. Well thank you. I'm glad you liked it. I had fun writing it but I agree, lots of times children's books do have a purity and a moral to them that a lot of "adult" books do not just as children often do as well. (Purity that is ) :) In any case I'm glad you liked it. This page was created in 0.4385 seconds.